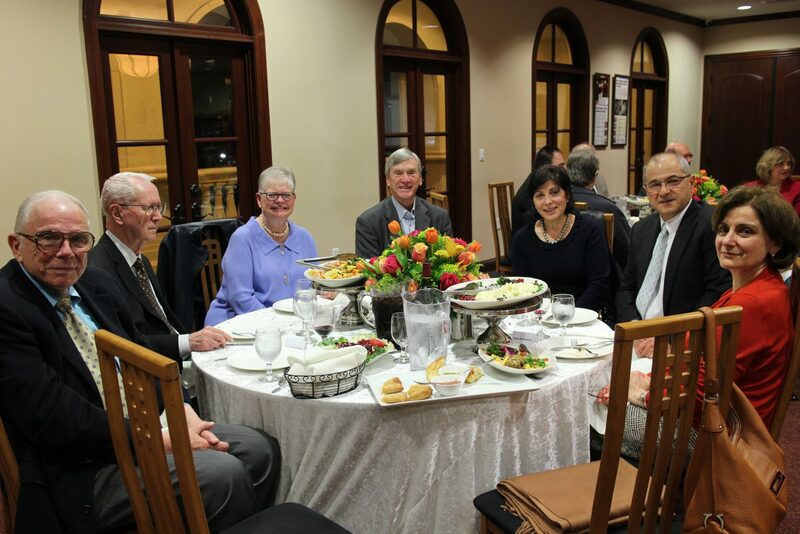 LOS ANGELES, U.S. ‒ The American University of Armenia (AUA)’s Board of Trustees dinner, held in Los Angeles on Thursday, January 10, 2019, brought together local community patrons who learned about the positive progress on campus and the future landscape of AUA. After delivering the evening’s benediction, His Eminence Archbishop Hovnan Derderian, Primate of the Western Diocese of the Armenian Church of North America and one of the University’s ardent supporters, reflected on the significance of AUA in the homeland, as well as his first-hand experiences during his visits to the campus in Yerevan. 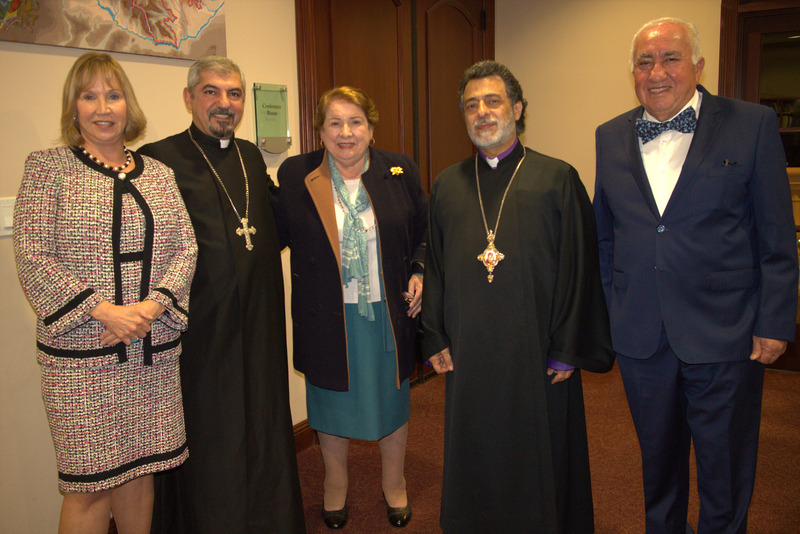 Education has always carried a special place in Archbishop Derderian’s heart, as he himself earned dual degrees in theology at Oxford University, which spurred his decision to make a substantial pledge to AUA. Last December, the Archbishop Hovnan Derderian Scholarship Fund, which provides educational support to students of Armenian descent attending Armenian institutions, dedicated itself to becoming a Pillar. 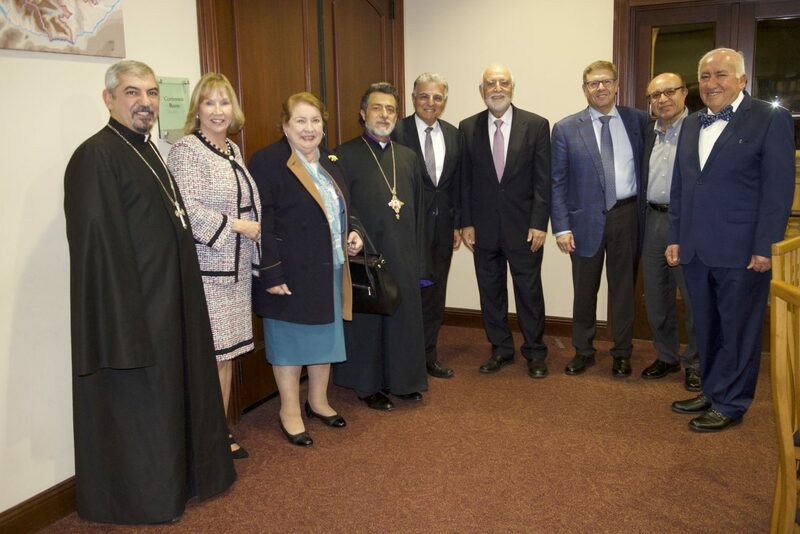 “As a servant of the Armenian Apostolic Church, I will be committed forever to assist and support the University and to spread the good news about AUA in the Western Diocese and wherever else it may be,” said Archbishop Derderian. In his remarks, Dr. Armen Der Kiureghian, President of AUA, elaborated on the impact of the AUA donors, particularly the 100 Pillars, who have brought much-needed change to the campus, from providing more scholarships, to hiring additional high-quality faculty and supporting relevant programming, including newly established degrees in Strategic Management, Engineering Sciences and Data Science. 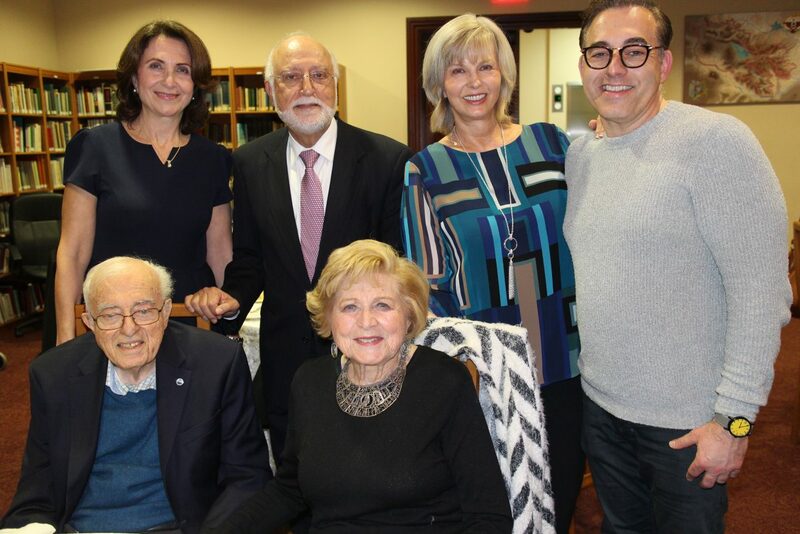 Dr. Kris Mirzayan, a visiting faculty member at the Manoogian Simone College of Business and Economics (CBE), along with his wife Pamela Ascher Mirzayan, have championed AUA and welcomed new faces into the donor community. Dr. Mirzayan spoke about the potential of the students who will develop the country with the knowledge and skills they acquire at the University. 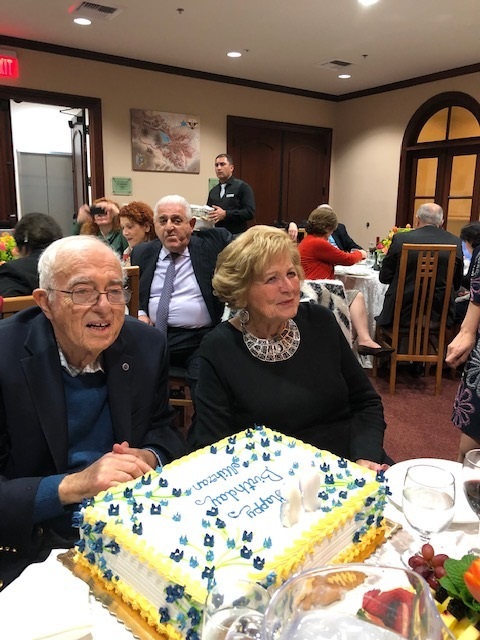 Another special milestone was marked as the dinner participants celebrated the 96th birthday of AUA co-founder and President Emeritus Dr. Mihran Agbabian. His wife Elizabeth Agbabian, a longtime advocate of AUA, shared her thoughts on the occasion and recalled the challenging early days of the University when the conditions in Armenia were quite difficult, but the institution persevered. 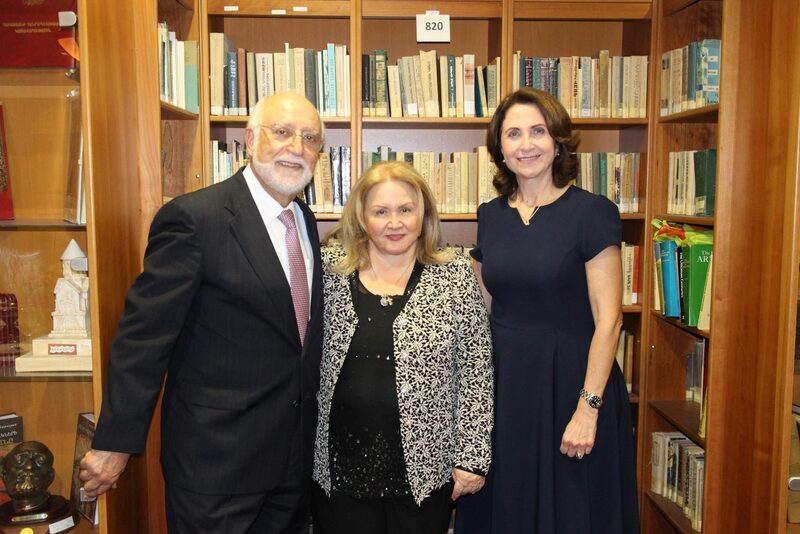 The Agbabians have ensured the connection of their circle with AUA, including donor Alice Navasargian, who announced her contribution of $50,000 to the ongoing “Yes, Armenian Women Can!” campaign that helps fund the education of female students at AUA who are studying in the fields of technology, science, math and engineering. 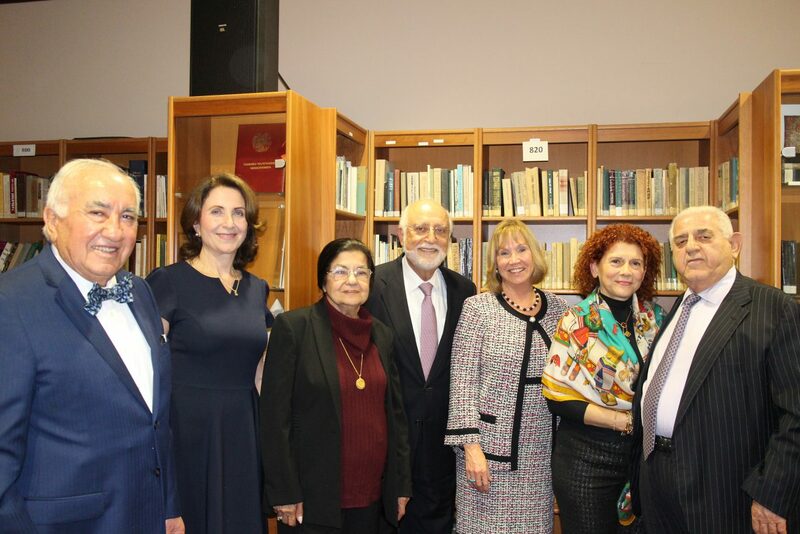 In the past, the Navasargian Family has made important contributions to AUA, particularly through the refurbishing of the AUA campus student lounge, which boasts inspiring views of Mount Ararat.